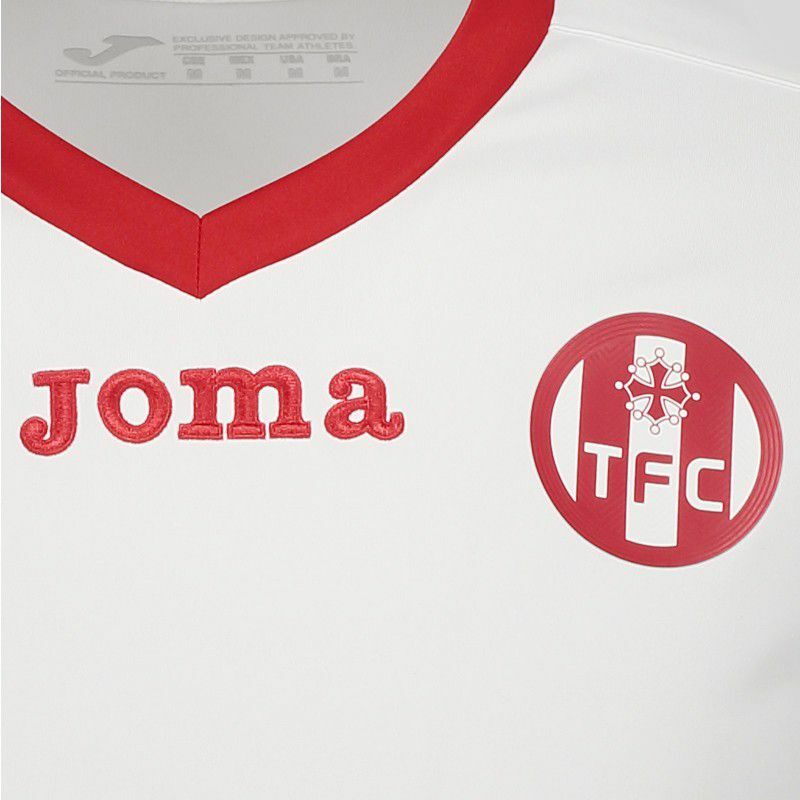 Cheer for the French team with the Joma Toulouse Home 2018 Long Sleeve Shirt. It can be customized with name and number and is made of polyester, light and sturdy, ideal for providing comfort. More info. Cheer for the French team with the Joma Toulouse Home 2018 Long Sleeve Shirt. It can be customized with name and number and is made of polyester, light and sturdy, ideal for providing comfort. It has DRY MX technology, which helps in the sweat evaporation, keeping a drier skin and regulating the body moisture. 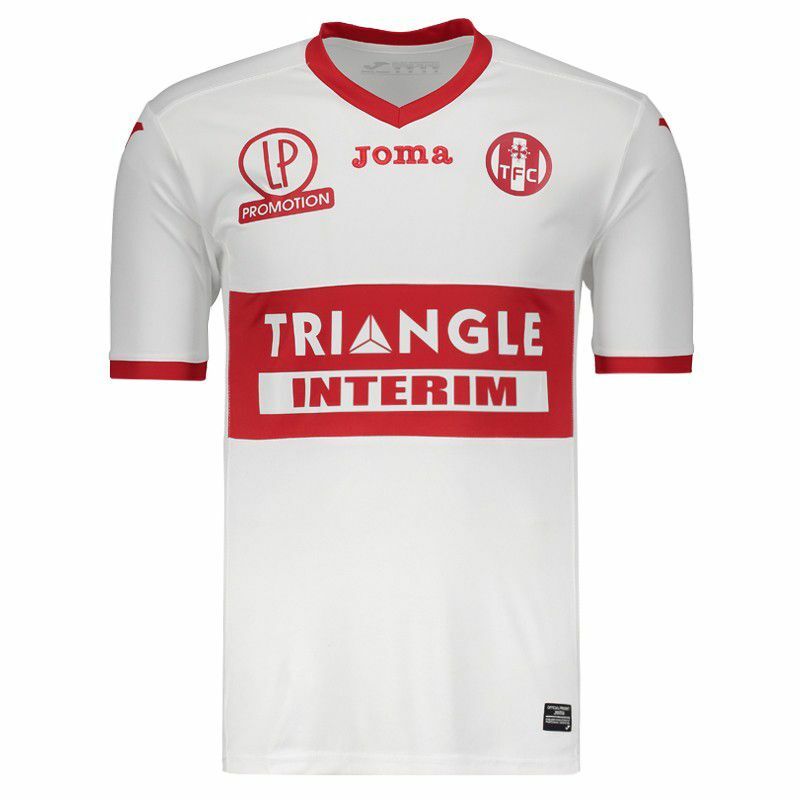 The design is inspired by the first mantle used by the team in the 3 × 2 win over the Girondins de Bordeaux on August 22, 1937. 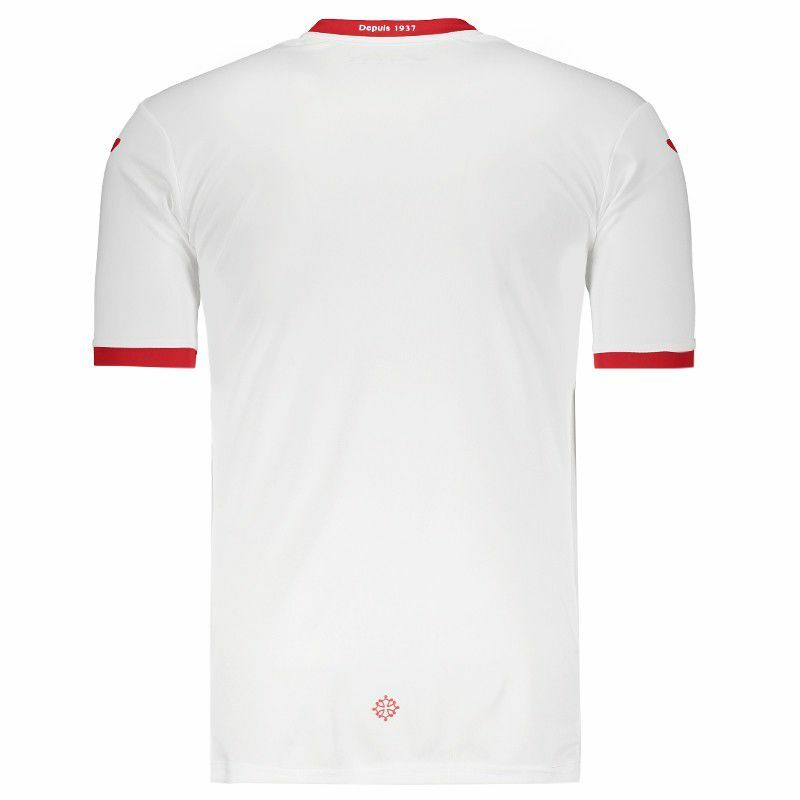 It presents the predominant white color with red details such as the horizontal stripe on the front. The V collar also brings this shade, just like the cuff of the sleeves. In the chest, the team's badge is fixed on vinyl and near the nape of the neck, the inscription "Depuis 1937" ("Since 1937") is seen. Finally, near the rear bar, the Cross of Toulouse complements the mantle.